The definition for weapons includes knives, tears gas, metal knuckles, etc. While any type of concealed weapon, except common pocket knives, butter knives, antique firearms, can violate this statute, this page is primarily going to be referencing firearms. The topic of firearms is controversial with diehard people being for and against the use and possession of firearms. The state of Florida is considered to be a gun friendly state when it is compared to other states. The Florida Constitution, Article I, Section 8 says Floridians may possess firearms. Florida Statute 790.33 prevents any county, city, town, municipality, or state or local agency from creating ordinances or regulations on firearms and their ammunition. Any government official violating the statute can be required to personally pay a $5,000 fine and be removed from office. So if we can legally possess a gun, what are the restrictions? There are some restrictions on firearms. Carrying a firearm concealed is illegal when the person does not have a concealed weapons license issued by the Florida Department of Agriculture and Consumer Services. Some individuals who do not have a Florida concealed weapons license think it is not a problem to place a gun under the car seat while driving. What they do not know is this is a common way people get arrested for violating Florida Statute 790.01. The individual would have been legal if the gun was securely encased. Securely encased means using a glove compartment, a gun safe, a holster with a snap, a zippered gun case, or a box or container with a lid. Florida does have some exceptions to the concealed carry prohibition. Depending on the situation, if you are outside the car when you arrested, the prosecutor might not be able to convict you of this charge; however, another court has ruled the other way with similar facts. See Evans v. State. Florida law does allow for an individual without a concealed weapons license to carry a gun in his car as long as the gun is “securely encased or is otherwise not readily accessible for immediate use.” Florida Statute 790.25(5). A person can also carry chemical spray or an electric stun gun (Tazer) concealed without a concealed weapons license as long as it is to be used for lawful self-defense. Florida Statute 790.01(4). Florida law allows a person that has a concealed weapons license to carry the weapon concealed as long as they do not carry the gun into any of the locations on the list of prohibited places under Florida Statute 790.06(12)(a). (2) The weapon you concealed was out of plain view of other people. A firearm can be a gun, a starter gun, a gun silencer, a gun receiver or frame, or a machine gun, but not an antique gun (made before 1918), unless it is used in a crime. Carrying a concealed weapon without a license is a first-degree misdemeanor is punishable up to 365 days in jail and a $1,000 fine. This crime is ranked as a level 5 under the Florida Criminal Punishment Code. If the individual without a concealed weapons license carries a concealed weapon inside a pharmacy, it is a third-degree felony punishable up to 5 years in prison and a $5,000 fine. 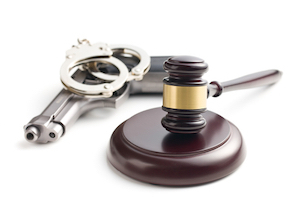 Our attorneys know the criminal laws and are able to help you navigate a concealed weapon charge. We will find out the facts and aggressively defend your case.